Intergroup – May 2012 – Lincoln Nebraska A.A. The AA Traditions were read by: Becky R.
Still discussing attending other meeting to discuss CO and it’s role in the community. Marcella needs help taking out of town orders to PO. Jim and Dru have offered to help. (LCF) – Joe G. Men’s meetings going well. Chad will check with facility’s staff regarding the status of women’s meetings. (CCCL) – Tom E.; Men’s in-house 12 step study on Tuesday night is going well, and has a steady group of inmates attending. Most inmates were released at end of April. Plan is to begin the 12 Step over again with new group of inmates. (D & E) – Bill O; Wednesday night meeting are going well – about 15-18 inmates attend weekly. (RTC) – Bill O; Meeting going well (Saturdays). 3 outside volunteers and about 15 core group of inmates. (Old Business) – Ron will contact Treatment Committee. Need to continue planning for join workshop this fall. ** Passed out new sheets to take to groups. Please have these filled out for June Intergroup meeting. New lists will be in place for July, August, and September. MEMBERS: Please note, there are numbers and information on the back of the sign-up sheet to further assist the groups and our responsibilities. Suggest to people signing up they save the numbers in their phone so they know it’s the hotline when a call comes through. PI/CPC Committee: (Jessi W.) – Meeting cancelled, nothing to report. Have money and they intend to spend it. Discussed creating an email for the committee so when changes are made (with rotations, etc.) people can still get a hold of the committee. Would like to make more use of website capabilities. Has received updates from Districts 3, 21, 22, 29, Central Office, and lots of old minutes from District 21. Request: Please don’t put last names or email addresses in minutes, he will have to remove them – Website requirement, and also anonymity purposes. Intergroup informed Ron not to post Central Office Bulletins anymore. What should we do with old ones? Leave them up. We will just post meeting updates/changes. After looking through check registers, it was discovered Intergroup has not paid rent for 20 months. Committee representatives will bring budgets for this rotation back and be reevaluated. Request made that if committees are getting quarterly disbursements, each committee needs to be reporting a balance. Treasurer will catch up with rent on Tuesday, May 29th. 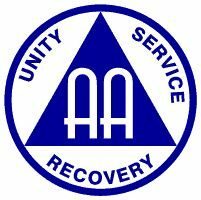 Also suggested that we spread word that if there is an AA Event, contact Ron and he will post it. Spread the word to see if anyone is interested. The next meeting is Friday, June 29 @ 6:30 @ Willard Community Center-1245 S. Folsom St. Thank you for allowing me to be of service. Jessi W.